The PWRR Association serves the past and present infantrymen of the PWRR and our forebear regiments. Learn more about our Association and our growing branches: here. The PWRR is the senior English Infantry Regiment of the Line. We are the English County Infantry regiment of: London, Surrey, Kent, Sussex, Hampshire, the Channel Islands & Middlesex. Learn more about our famous history at: www.armytigers.com. 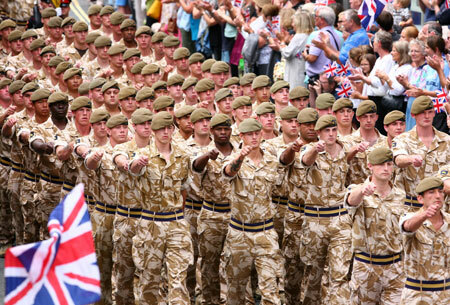 There are many ways today that UK Veterans can get help or care. If you are in the PWRR or have served in the PWRR or its forebears then your Association can advise and guide you. To help give support, join (or form) a branch with our help. For our Branches click ﻿here﻿. For help and info search on our veteran's pages. ​See also our Benevolent Fund. For urgent, emergency help call RHQ and contact us. Our famous forebear regiments from our counties hold some of the most legendary history of the British Army. Veterans from our forebears have their own associations or they have joined our Association to gain the long term care and energy that our Regiment enjoys. You are ALL welcome to our events and friendship. See how we can help you here.